Note: This is the second of two posts dealing with the geologic history of Clare County, Michigan, USA. 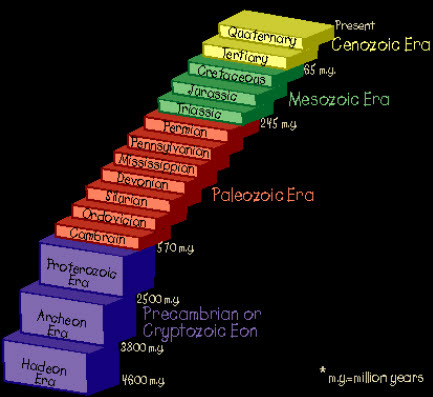 This stair-step chart shows the various eras of time with Precambian (purple) representing the greatest stretch of time (4.6 billion to 570 million years). The sediments that underlay our county were laid down during the Paleozoic era (red). The dinosaur era doesn’t really get started until the Triassic era at about 245 million years ago (green). We’re in the yellow era. If you like warm, you should have lived in Clare County, Michigan about 360 million years ago (about 5.6 miles away on our long yardstick in which 1,000 years equals 1 inch and we are at one end). Back then, our county (all of North America as a matter of fact), was nearer to the equator. That’s when the continents were one big happy lump and before the tectonic plates, including the one on which we ride separated, with ours moving slowly but steadily north until it arrived at its present location. It’s still moving and will probably be someplace even colder in the future, but don’t run out and buy a new coat just yet. You may not need it for another 360 million years. As to our county, it wasn’t in its present condition when it did arrive here. That’s because the glaciers that shaped it and put down all the debris (glacial till) that formed our hills, valleys, plains and such were still far in the future (see Part 1 of this blog post). However, we were in a valley back then, well it was—and is—more of a basin and it bears the name the “Michigan Basin.” We lie near the middle of the basin and the bedrock that is the underlying formation, is nearly 16,000 feet below us. The basin is deepest in the middle of our state and then gradually tilts upward the surface forming a rim. The basin covers an area of about 119,000 square miles and is visible in various areas including parts of the western Upper Peninsula. The bedrock, which forms the basin, is made of igneous rock meaning that it was molten at one time. 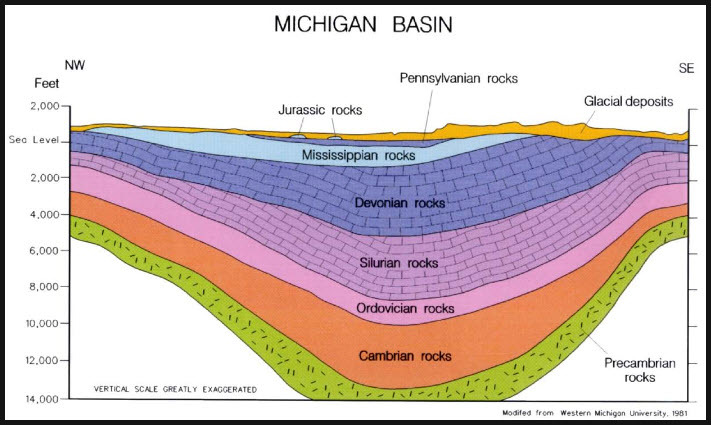 The formation of the Michigan Basin goes back about 2.5 billion years (or 40 miles on our really long yardstick) when geologic pressures deep underground caused the rock to be twisted into its present shape. 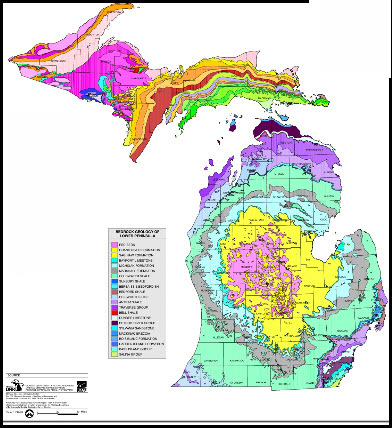 Types of bedrock in Michigan. The Michigan Basin is clearly visible. There is not 16,000 feet of glacial till between us and the bedrock though. That’s because many times in the distant past–long before the glaciers–Clare County was under water. Salt water and lots of times. According to an article from Michigan State University on the Michigan Basin, inland seas covered Michigan during what was termed the Devonian period, a period of about 60 million years that started about 450 million years ago (that’s only 7 miles away on our yardstick). The Devonian period was pre-dinosaur, by the way with most of earth’s creatures living in the oceans (although there were spiders, millipedes and insects scurrying about on the land, which might explain why the ocean’s inhabitants were slow to move out of the water and up onto the land). At times the seas were clear supporting a variety of shellfish; at other times the seas were muddy with great quantities of silt and decaying vegetation. At other times, the seas contained minerals or were more like huge swamps. The sediments of each sea compacted to rock (sedimentary). As each layer of sediment was laid down, the basin became shallower. 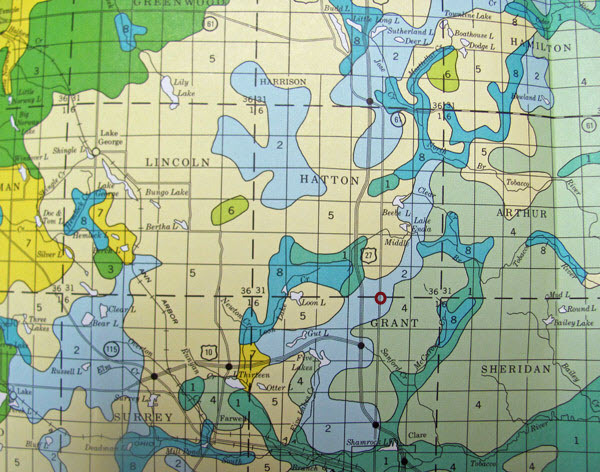 Such things as Clare County oil fields and Saginaw County coal and salt mines, and Alpena County’s limestone quarries, are testament to those ancient seas and the sediment they left behind. Core samples taking during drilling is one way we’ve learned what lies beneath. The various layers of sediment with the names corresponding to the stair-step chart above. The glaciers wiped out any record of the dinosaurs. Our records kind of ends with the Pennsylanian era, although, as the graphic at left shows, we do have a few areas of Jurassic rocks. But no dinosaurs. There’s also traces of gold and silver in Clare County. Sorry, no veins of gold, just trace amounts that were scoured off gold-bearing rocks in Canada and maybe the Upper Peninsula and dropped here. Of course, there’s always the chance that the glaciers dropped some golf ball-sized nugget somewhere in the county just waiting to be discovered. We can only hope. Oh, one more thing, among the rocks in Clare County there might be a meteorite or two. None has ever been reported in this county, but one was found two were found not too far away. One in Reed City found in 1895 and one in Kalkaska in the late 1940s. Both found by farmers working their fields. So, keep your eyes peeled. You never know what cool things this county has in store just waiting to be discovered. Note: This is the first of two posts dealing with the geologic history of Clare County, Michigan, USA. Ever take a good look at our county? Its rolling landscape, many bodies of water (20 Lakes in 20 Minutes), numerous gravel and sand pits, the fact that the south end of the county is hundreds of feet lower than the north end. Ever wonder why it looks the way it does? Why it has so many rocks? So many lakes? And oil? What we now call Clare County has been around for more than 4 billion years and has physically traveled a long way and has seen volcanos and oceans. Only recently–in the last 11,000 years of so–has it been in the form we now know it. If you think of time as a yardstick*–a really long yardstick in this example–with every 1,000 years being an inch and us at one end, Clare County has existed in its present form for about 11 inches, while the land far underneath and around has been in existence for about 66 miles or so. As I said, a really long yardstick. But more on that later. And while the land has been around for more than 4 billion years, you won’t find any dinosaur bones. Now there is always a remote chance you will find the remains of a mastodon and woolly mammoth in the county (a tooth most likely since those tend to survive because they don’t decay as easily, no pun intended), any traces of dinosaurs were scrubbed way by glaciers and/or buried several thousand feet and under tons and tons (and tons) of glacial till, which is debris from a glacier. Circles indicate where the remains of a mastodon were found. Most discoveries have been where swamps once existed. The theory is that the animals may have fallen through a mat of vegetation trying to feed, were quickly swallowed by mud and were preserved. If you do find a mastodon or mammoth (and it more likely to be the former since they have been found in Michigan more often), yours will be the first. That’s because while mastodon fossils have been found in most surrounding counties and mammoth fossils in a few counties, neither has been found in this county. And yes, there is a difference between the two herbivores but no, they are not dinosaurs. Real dinosaurs like your t-rex and triceratops have been extinct for hundreds of millions of years (3 miles on our yardstick), while these elephant-sized, mammals (the largest that we know of in our state) last trod our mitten-shaped peninsula 6,000 to 8,000 years ago (6-8 yardstick inches away), according to scientists who study that kind of stuff. I learned this from a paper by Margaret Anne Skeels of The University of Michigan, entitled The Mastodons and Mammoths of Michigan, presented back in 1961. 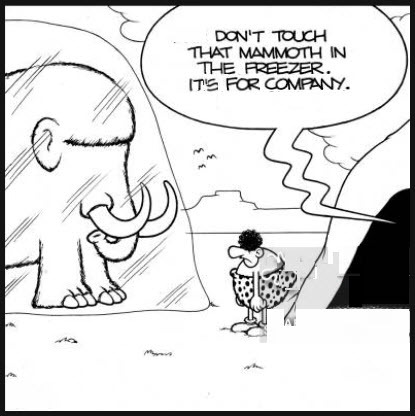 And if a mammoth or mastodon remain has been found in the last 54 years, I can’t find evidence of the discovery. Ms Skeels also wrote that we don’t really know why these critters became extinct, but that it was most likely due to a warming climate. The same warming that caused the glaciers to retreat to the arctic. 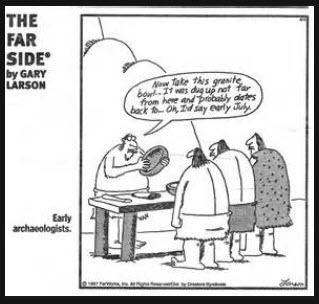 While there is evidence that Indians of the Southwest hunted mastodons, we have no evidence that Indians in our state hunted them or were at all responsible for their extinction. However, let me rewind a bit and talk more about glaciers and ice ages. I will cover our really distant past (oceans, the equator, formation of oil deposits and more) in Part 2. The retreat of last of the four glaciers that covered Clare County. Each glacier sculpted our county and dropped tons of sediment (glacial till), in its wake. Scientists believe there were at least four glaciers that covered all of Michigan and much of North America over many hundreds of thousands of years, complete with warm periods in-between when the glaciers receded. 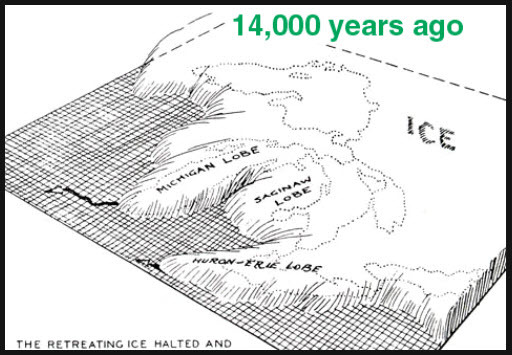 These ice ages and resulting glaciers were known as the Nebraskan, Kansan, Illinoisan, and the Wisconsinan. Why the earth cooled enough that glaciers from the arctic region expanded to cover all of Michigan and a good part of North America is unknown but it may have to do with long-term variations in the orbit of the earth (Milankovitch Cycles). And whether we are currently in one of the those “in-between periods” is also unknown; however, it is known that starting about 1.8 million years ago (150 feet away on our yardstick), at the start of what is known as the Quaternary period, it got cold and it stayed cold and that ice sheets covered all 83 Michigan counties including ours. The height of those glaciers has been is estimated to be 10,000 feet or more, and the tremendous weight and pressure of the ice compressed the earth as it gouged and shaped the landscape. While these glaciers advanced, they captured and transported with it everything in its path from huge boulders to rocks, stones and gravel. That means many of the rocks you see or that farmers have to contend with when they plow, may have come from hundreds of miles to the north where it was transported by the final glacier. Black lines show the many moraines in our state. The Saginaw Bay region is without moraines because it was until relatively recently (geologically speaking) under water and its moraines have been eroded by wave action or low areas filled in with sand and debris. The glaciers’ movements weren’t constant and the advances and retreats occurred over 10s of thousands of years (the last glacial age lasted more than 100,000 years). When the Wisconsinan glacier finally retreat for the last time–which means the glacier was melting faster than it was advancing–all the geologic junk contained in the ice was dropped in irregular piles, creating the landscape we now see. Where the glacier was in one place for a longer period of time (decades perhaps) hilly areas developed called moraines. There are many moraines in Michigan and one rather large one divides our county roughly in half. Its southernmost boundary is quite visible as one drives on Old-27 near Adams Road with James Hill as one of the landmarks (see photo below). In this general area the Saginaw lob of that final glacier rubbed up against the Lake Michigan lobe with both dropping glacial till in the form of rocks, sand and gravel, and gushing huge quantities of meltwater. To the south of the moraine and several hundred feet lower in elevation are Clare and Farwell. Atop the moraine are the communities of Harrison, Temple and Leota. There is more to the story than just a difference in elevation. The soils are different with that to the south being less sandy and more fertile (see Soil story below). 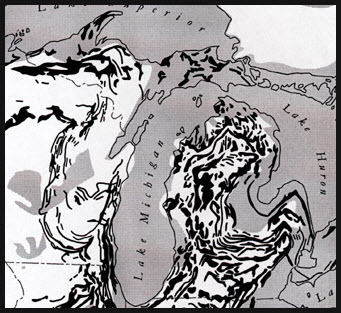 Our lakes were included in the glacial formation, both the Great Lakes and our inland lands. Many of the inland lakes were the result of great blocks of ice being dropped by the glacier, then being buried under tremendous amount of debris left by ice. Once the glaciers melted, the ice blocks too slowly melted under the glacial till leaving depressions filled with water in their wake. How big were the ice blocks? Well, think Houghton Lake and closer to home, Budd Lake. The glacial till is thick. 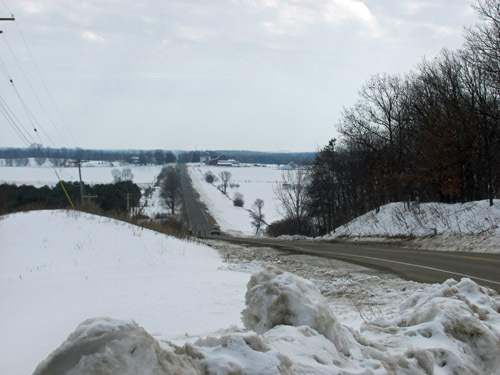 According to S. G.Berquist, in his The Glacial History and Development of Michigan, the average depth of glacial deposits over the bedrock in the state is 300 feet. In other places, like in the western end of the Upper Peninsula, the bedrock remains visible and minerals such as iron and copper can be found because the glacier was not powerful enough to erode them. View looking south atop the glacial moraine at James Hill (Adams and Old 27). Because the till left by the glacier are mixed, the deposits in many areas of our state are unstratified, that is mixed and lacking in layers. However, because the vast amount of meltwater issuing from the retreating glaciers carried sediment with it as it flowed, that water often sorted the till into various sizes such as cobble, gravel, pebble, sand, silt and clay, according to Berquist. That’s why we find sand pits, gravel pits and the like in our county and around our state. So, the next time you take a drive or a walk, look around you and marvel at what God, nature and time has wrought. Then pick up a rock and look at it carefully and take time to appreciate it. After all, it traveled a long way to get to you. 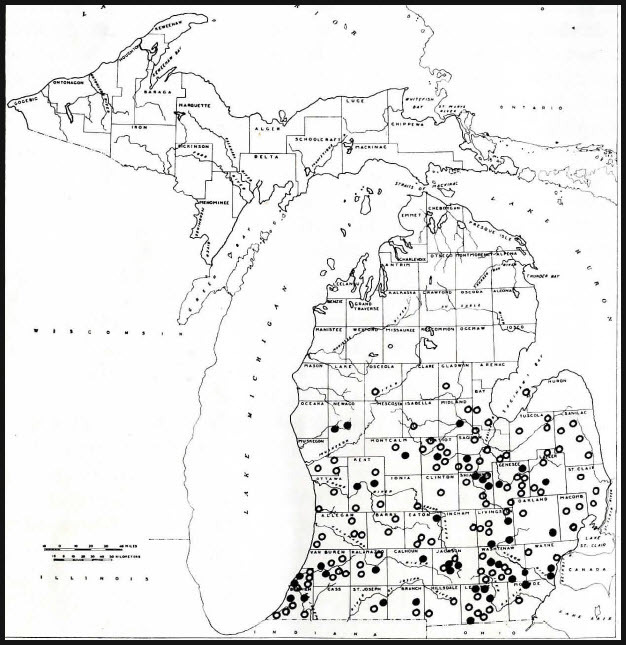 The book the Soil Survey of Clare County, Michigan, published by the United States Dept. of Agriculture’s Soil Conservation Service (1978) graphically illustrates the soil types found in the county. Below is a map of the county and accompanying legend. The approximate location of the glacial moraine (running northeast to southwest) can be discerned in the map below in the soil shown in yellow. 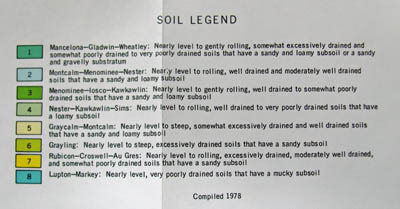 The legend descriptions of the soils in the northern section of the county generally include sandy in their definitions, while the soil to the south (designated by a 4) does not include that term. Soil to the south of the moraine is generally more fertile. One reason is that the lower elevations to the south were under water for an extended period of time when the glaciers receded due to the elevated levels of the Great Lakes and the forerunner to Saginaw Bay. Colors show the various soil types found in the county. The soil to the south is more fertile owing to the fact the land below the glacier moraine was underwater following the glacier and gained additional nutrients. The red circle at the center shows the general location of James Hill. It’s interesting to read old newspapers. You never know what tidbits of information you will find that brings history to life. Even if the article has to do with death. 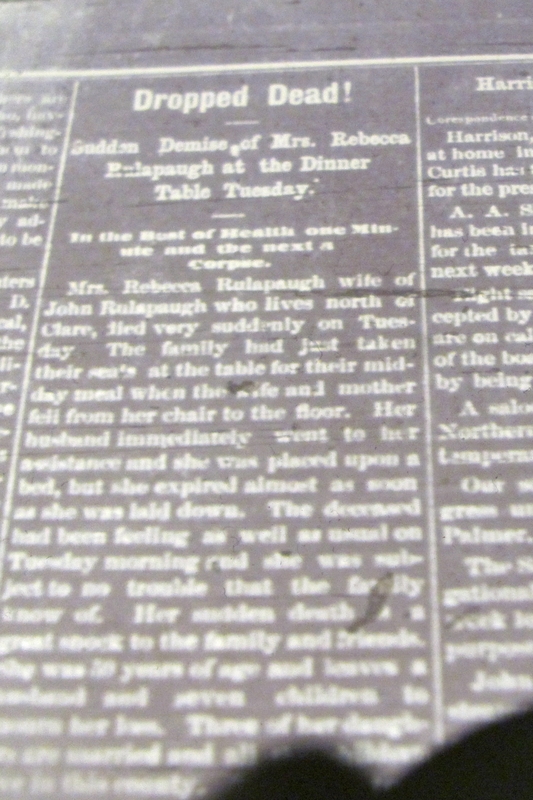 Take this one that appeared in the front page of the May 2, 1884 issue of The Clare County Press about the death of Rebecca Rulapaugh. I ran across the article while doing some research on another topic, and the headline and subhead made me want to read it. Sudden Demise of Mrs. Rebecca Rulapaugh at the Dinner Table Tuesday. In the Best of Health one Minute and the next a Corpse. When I first read the piece my first reaction was one of laughing at the headline. However, one would expect Rebecca’s death would have devastated her husband and the entire family. 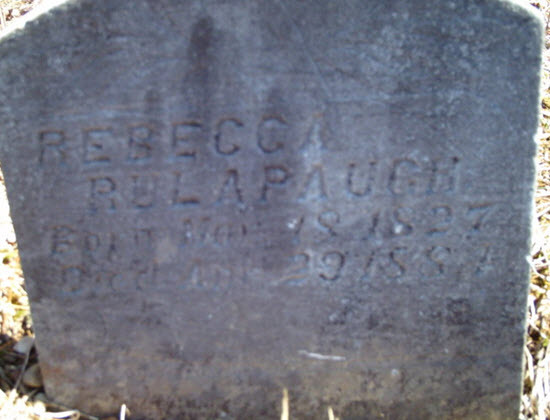 After all, Rebecca was only 56 and had been in the best of health-or so it appeared. We have no other information on the cause of death but do know that Rebecca was buried in Woods cemetery in Clare County thanks to information posted on “Find a Grave” by someone with the username of twkistle. Her husband John would join her in death two years later at age 64. Whether his wife’s death was a factor in John’s passing, we do not know. What did John and the family think when they read that article? Were they horrified at the wording? Or was this just considered the norm a century or more ago. Maybe the Rulapaugh’s didn’t have the time, money or desire to read the paper, and so never saw the article. This is not the first time I’ve run across articles that have seemed to sensationalize a death (if, in fact, this is what the editors intended) Yet, I wonder what was the goal of using those headlines and subheads and did they regret their decision later. We will never know. However, is does make me wonder, what were they thinking? Newspapers have also been good sources of information. Back in the 30’s and 40’s Hedda Hopper dished dirt and spread the word on Hollywood celebs. And in rural communities in the days before the telephone made it easy to communicate and the Model T made it easy to get around, no self-respecting newspapers would have been without a column with information on the local community’s goings ons. While the content they printed was pretty tame, they did provide a way for people to learn about their neighbors. Railroad map showing small communities in Clare County, MIch. While Dodge and Mann’s Siding appear on the map, Dover does not since it was not on the rail line. Dodge is located approximately where the letter “g” is in Moore’s Siding, northeast of Clare. Dodge is also the site of the Clare County Historical Society museum complex. 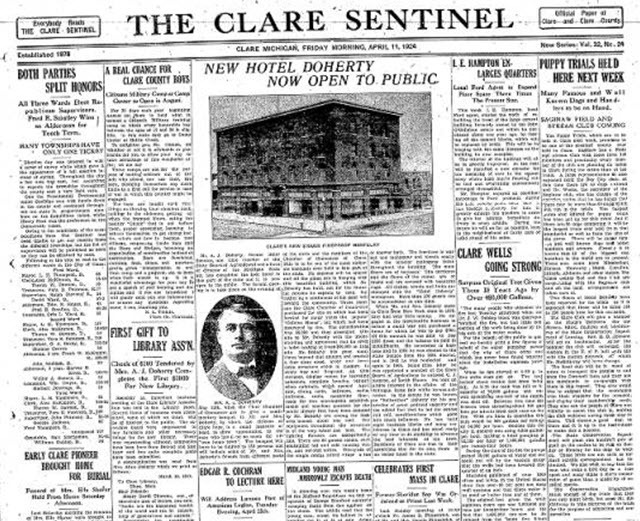 The Clare Sentinel was one of those newspapers with such a column that ran on a weekly basis. Below is part of one column that shows the news in the communities of Clare communities of Dodge, Dover and Mann Siding. Only Dodge* is still in existence. While 100 years ago or so, the column provided readers with news, now the column provides us a window into the general life of Clare County inhabitants. *What is somewhat noteworthy is that the column appeared less than a month after a big fire that struck Dodge and its giant mill and burned for three days. The mill was never rebuilt and eventually, Dodge disappeared from maps until the late 1940’s. Mr. Joseph Carrow was out of town on business Friday. Mt. L. M. Shumway was out of town Thursday. The doctor has been somewhat under the weather the past week. After a few days absence on business, H. Derail is again in town. The party at Wm. Bolier’s was a pleasant affair. All report a jolly time. 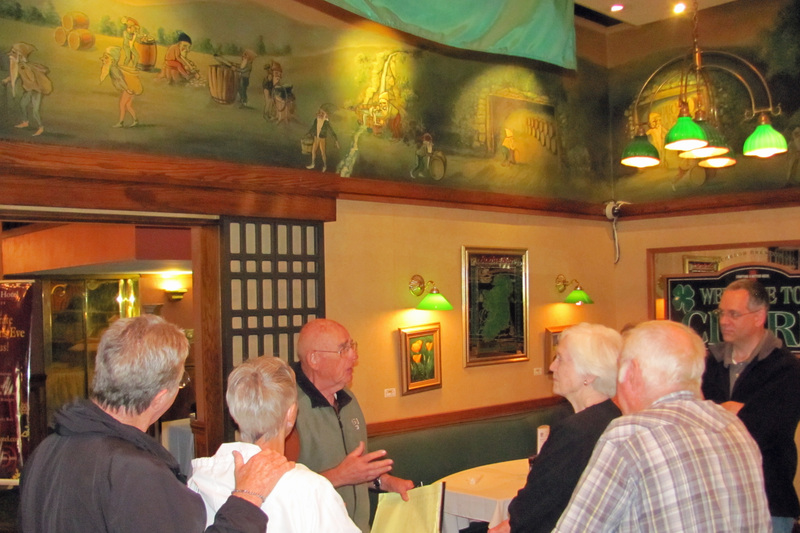 Master Herma Dehart went to Midland Tuesday where he is to spend a portion of his vacation visiting relatives. Boltone and Stillwill were visiting friends and relatives in Mt. Pleasant last week. Will Davis has moved into his new house. It is hard to tell how long he will live there because he is always on the move. The quilting bee at Mrs. Boulton’s was a success to the letter and all agree in saying they enjoyed themselves. A heavy snow storm visited this part Friday night. Charley Dingman who has been visiting parents and friends for the past three weeks returned to his home in Traverse City . Miss Laura Walters visited Mrs. Leonard on Friday last. We think the time that Elder Rogers occupied at the Eagle belonged to the Lord, not to the people. A great many ladies enter Mrs. L. B. Lyons shop but scarcely none come away without a new hat. Her prices are within the reach of all. Butter and eggs are taken in exchange. The mill is still running. Mrs. Wm. Parrish and daughter called on Mrs. L. B. Lyon last Friday. W. L. Lyons is making a nice improvement to his store. Geo. Dennis has moved in his new house. One of Mrs. Donley’s children is quite sick. D. Denno and wife were in Clare Tuesday. A. N. Whitlock has purchased a span of horses from a man in Farwell. Mrs. L. B. Lyons was the recipient of a new sewing machine from her father. It is nice to have a kind father. 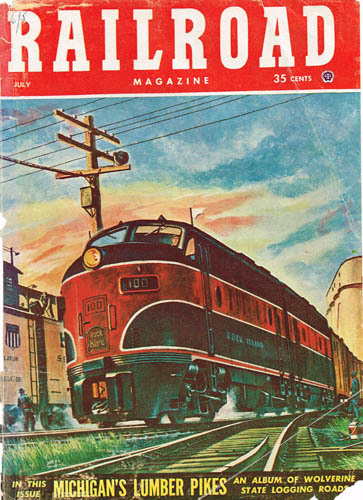 The following article by Fred C. Olds appeared in the July 1953 issue of Railroad Magazine. I thought it was a terrific article, although it does not really break new ground. It also contained a number of photographs that I have not included here for the simple reason that the pages of the magazine, has discolored over the years, as newspaper quality paper tends to, and so would not reproduce well. Instead, I have included photos in the Clare County Historical Society archives. I did not change the spelling or grammar used in the original article, and that includes any factual errors. Nevertheless, I hope you enjoy Mr. Olds’ article and hope that since the magazine is no longer in print that I’m not violating any major copywrite laws. The racing crests of Michigan’s big rivers, with picturesque river hogs riding spring log drives, captured most of the glamour in Michigan’s lumbering history. 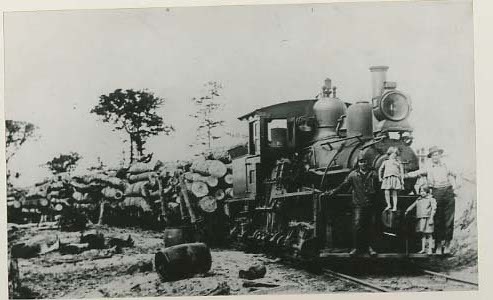 All but forgotten, less colorful but just as vital to the timber industry, was the role played by the logging railroad. Pushing out into isolated forest cuttings, these little iron pikes early in the 20th Century criss-crossed the northern and central interior of lower Michigan into a web-like pattern of rails. Their existence dependent upon the product they transported, most were doomed from the start for but a brief span of operation. Mileage grew at a furious paces as rails opened new timber areas for the lumberjack harvest, but these little pikes withered almost as quickly on their iron vines when the logs were cut off. There demise was often sudden and without ceremony. Abandonment of the forest road simply meant piling its equipment, including locomotives on flatcars to be carried out over its own creaky rails for service in another sector or for another owner. 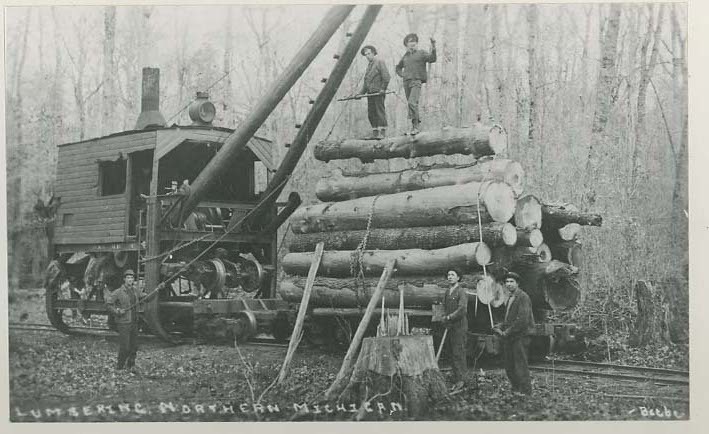 How and where did the logging railroad get its start in Michigan? 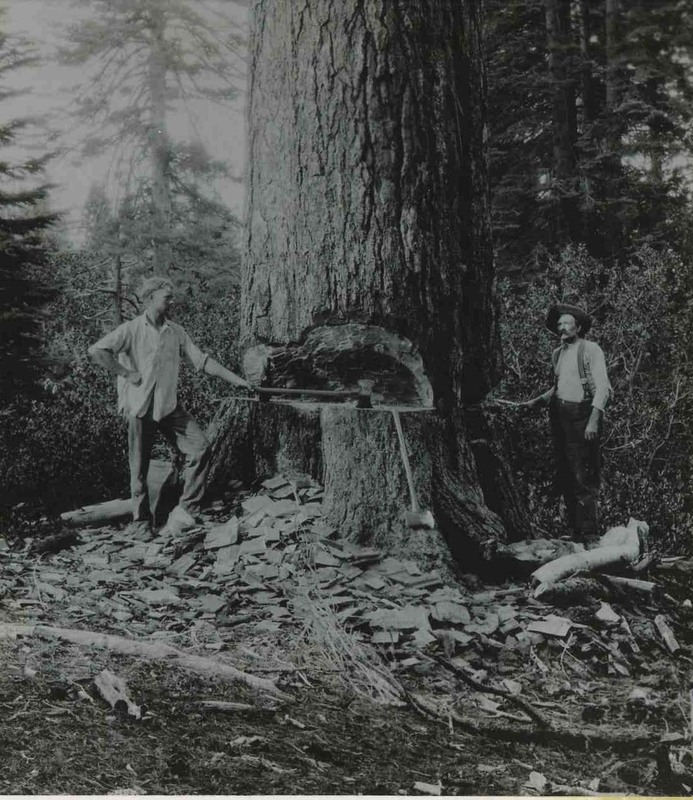 Records shows that by 1875 loggers had been busily chewing into the state’s extensive forests for 40 years. Over this period commercial lumbering interests had steadily whittled their way northward, skirting the shores of Lake Huron and Michigan, penetrating inland along the larger rivers—the Grand, Tittabawasee, Saginaw, Au Sable, Muskegon, Manistee, Chippewa, Pere Marquette and their tributary streams—to strip out the lush stands of cork pine. In those first years, water played the major role as a log hauler. Timber (pine, that is) had to be readily accessible to a suitable stream for flotage or it was practically valueless. It was this lack of water transportation, according to a claim set forth in an old issue of The Northern Lumberman that caused the nation’s first logging railroad to be built in Michigan’s Clare County in 1876. Its builder was Winfield Scott Gerrish, who owned extensive pine holdings in Clare in the center of Michigan’s Lower Peninsula about halfway between the Straits of Mackinac and the Ohio line. A brief biography of Gerrish, carried in the A History of Northern Michigan, shows that he gave early promise as a timber operator. Born in Maine, where his father Nathaniel was a lumberman, young Gerrish spent his boyhood and early manhood in Croton, Michigan; started driving logs at the age of 18, and when 25 made his first large logging contract. It called for the timber to be banked on Doc & Tom Creek in the southwest part of Clare County in 1874 for flotage to mills in Muskegon via the Muskegon River. Misfortune struck without warning, however. The Doc & Tom shrank to a mere rivulet as the result of a spring drought, and Gerrish’s winter cut of logs was left high and dry on the banks. Gerrish managed to float his cargo to mill by dint of hard work, but he conceded that small streams proved an unsure means of transporting his timber. He obtained an interest in 12,000 acres of pine on the west side of Clare County between the headwaters of the Muskegon River and Lake George, but because of its remoteness (6 to 10 miles) from a good floating stream, not a tree had been cut in this tract. Gerrish was not one to be easily discouraged. 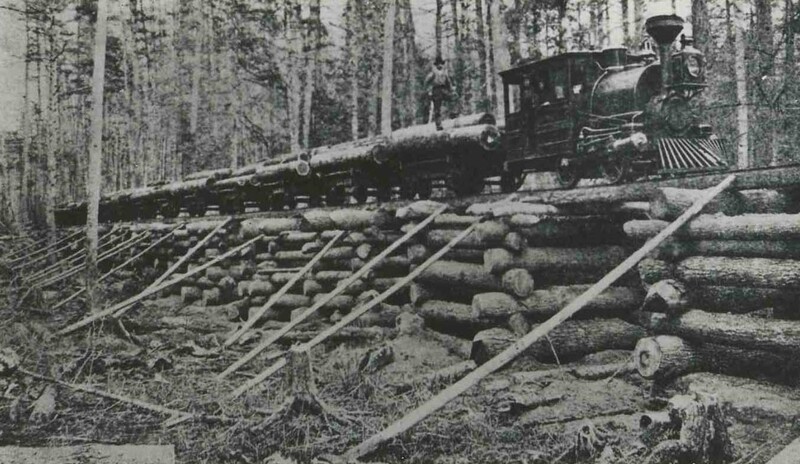 The Northwestern Lumberman report noted that he considered pole roads and tramways to transport logs but tried neither method, believing both were impractical. In stead, he found his solution in a most unlikely spot—hundreds of miles away, at the Philadelphia Centennial Exposition. While on a visit there he saw a small Baldwin-build locomotive displayed in a machinery exhibit. It gave him an idea. If he couldn’t float his logs to the Muskegon River, why not haul them on this first leg of their journey by rail? Figuring it was worth a try, he hurried home and hastily built the Lake George & Muskegon River Railroad, as he called it, which was splashing its valuable timber merchandise into the mighty Muskegon early in 1876. The Northwestern Lumberman account calls this 6-mile pike, running from Lake George northwesterly to the river near the present village of Temple, the nation’s and perhaps the world’s first logging railroad. Other railroads had penetrated timber areas before that time but conducted a general freight and passenger business. The LG&MR was a strictly a log hauler, and as such is claimed to have been the first of its kind. 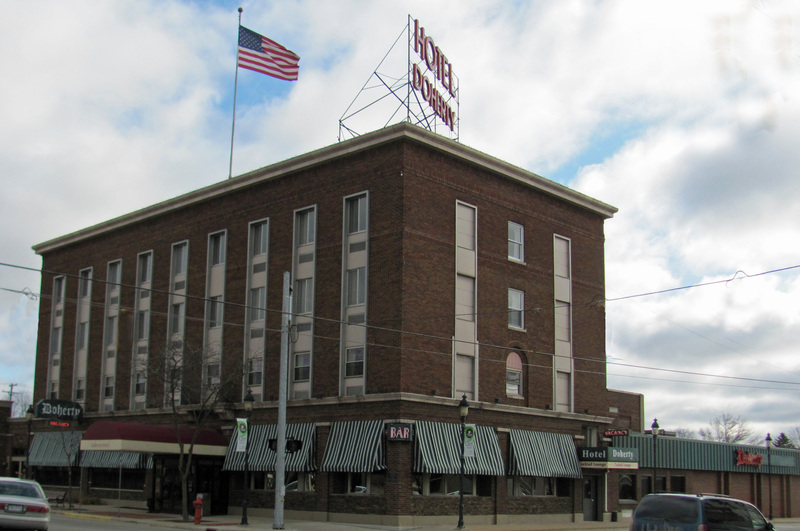 Gerrish, Edmund Hazelton and four associates of Hersey, Michigan, were listed as the road’s incorporators in a Special Report of the Michigan Railroad Commission. On November 28th, 1881 the railroad was acquired by John L. Woods and on February 18th, 1882 by C. H. Hackley & Co., the last named for a large Muskegon firm which operated it as a forest road until its sale to the Toledo, Ann Arbor & Cadillac Railway (now part of the Ann Arbor Railway) between August 25th and December 20th, 1886. Approximately four miles of the old LG&MR grade now carry Ann Arbor rails between Lake George and Temple. 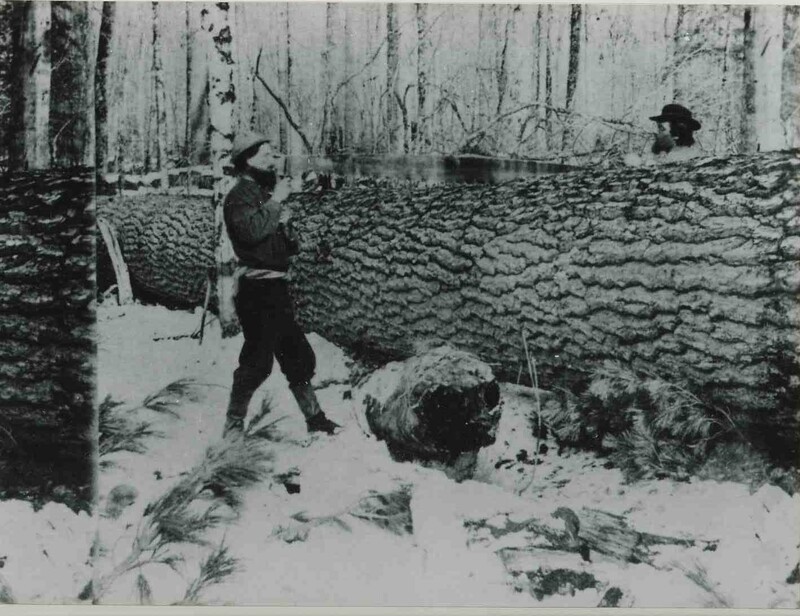 Gerrish, after completing his logging short line, expanded his lumbering operations until his biographer described him as being at one time probably the world’s largest individual logger. It is estimated that his highest individual contribution to the Muskegon River was 130,000,000 feet of timber in 1879. Most of this was carried over his Lake George and Muskegon River Railroad—not a bad tonnage record for a little two-bit logging pike founded only three years before. His new transportation idea gained quick favor among the state’s lumber kings. It ushered in a new era, opening up hitherto unprofitable but heavily timbered pine and hardwood country. It brought an unprecedented boom in Michigan railroad building. 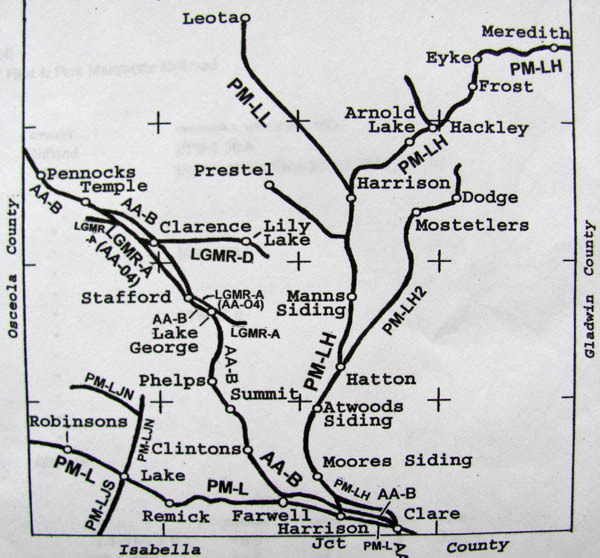 Both broad and narrow-gage lines were pushed deeper into backwoods districts to take out timber. For a few years a weird assortment of motive power echoed their whistle tones across the long plains and forested hills. Saddle-tank dinkeys and Shay-geared sidewinders chuffed and clanked over hastily-built rails which meandered around hills and across swamps, their tenders and log cars bearing now all but forgotten titles. Built for special purpose, log hauling, these railroad accomplished their chore efficiently and without delays. A venture as utilitarian as the lumbermen’s favorite axiom, “Cut and get out,” no money was wasted on frills, deluxe equipment, or polished roadbed. Swampers would first slash a rough path cross-country from the owner’s lumber tract to the nearest river if his logs were to be floated part of their journey by stream, or directly to his own mill, or to a rail junction where they could be transferred to an already established carrier to complete their trip. Rails followed a path of least resistance, guided by the hastily scraped-up roadbed’s serpentine twisting and turning to take advantage of the land’s natural contours. Hills and extensive swamps were skirted when possible, to avoid expensive fills and steep grades. To cross a swamp, low log trestles were built to provide the track with a solid bottom instead of using earth fill, timber being cheaper than the cost of moving dirt. Many of Michigan’s vacationland hunting and fishing trails still in use today were built over all or part of some timber rail line. Motive power, based upon modern standards, would be considered mediocre. Locomotives during the early period were bonnet stacks, burned slab wood for fuel, moved after dark to the feeble rays cast by oil headlamps, and hauled primitive four-wheel flatcars whose link-and-pin couplers exposed trainmen to an extra hazard. Lightweight rails, sometimes strap iron screwed to a wood base and set insecurely upon the rough railbed, made the journey into the woods comparable to a sea voyage. Back in the forests, the trees were chopped down, trimmed of their branches and their trunks cut into suitable lengths. A log then was skidded through the brush by a team of horses or oxen to an opening where a set of big wheels could be driven over it. The log (two of three logs if they were small) would then be lifted and carried to a rail-side decking ground where a jamming crew loaded the log lengths on railroad cars. In winter the big wheels were supplanted by sleighs which carried the big piles of logs to the decking ground. Loading cars of logs was described by Ferris E. Lewis in the December 1948 issue of Michigan History: “Short wooden pins were first driven into iron brackets on the side of the flatcars to keep the logs from falling off. Hooks, like ice tongs, each one at the end of a steel cable, were placed in the ends of a log. 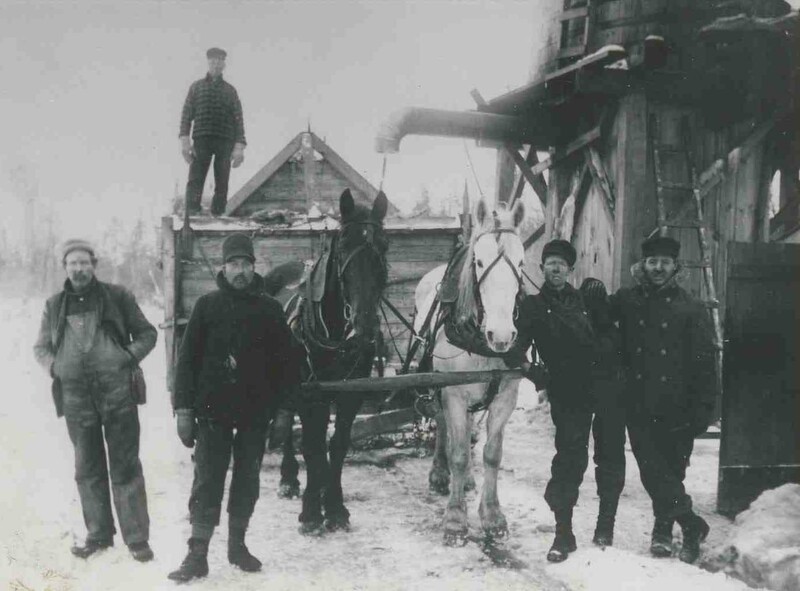 A little team of horses with muscles as hard as knots, at the command of a teamster who drove them without reins, would raise the log and wing it over the flatcar where it would be lowered gently into place. One by one the logs were loaded onto a car. A pyramid pile, placed lengthwise of the car, was thus built at each end. When a car was loaded, it would be moved away and a new one would take its place. In later years, steam jammers replaced horse power, particularly among the larger operators. These were the conditions and the equipment used along one of the nation’s last frontiers to attack the final great stand of pine and hardwood timber remaining in Mich igan as the 19th century came to a close. Besides increasing production, these railroads revolutionized the industry by making logging a year-around business. Owners found they no longer were dependent upon proper river levels for their log transportation, and cutting could continue around the calendar instead of just during the winter months. Some figures proving this accomplishment are cited in the book Lumber and Forestry Industry of the Northwest, for just three railroads—the Grand Rapids & Indiana, Flint and Pere Marquette, and Manistee & Grand Rapids. Each of these conducted a general freight and passenger business, although primarily engaged in timber hauling during the years cited. Mills along the Grand Rapids & Indiana (now part of the Pennsylvania Railroad) manufactured 367,000,000 feet of lumber and 404,000,000 shingles in 1886, while the total output along this road, from construction to the first mill in 1865 to 1898, is estimated at 6,000,000,000 feet of lumber. Timber production on the old Flint & Pere Marquette (now part of the Chesapeake & Ohio Railway) totaled 5,000,000,000 between 1876 and 1896. The Manistee & Grand Rapids (later renamed the Michigan East & West and eventually abandoned) place 500,000,000 feet of pine and 1,000,000,000 feet of hardwood timber into Manistee sawmills for cutting in 1891. In the Cadillac region up near Grand Traverse Bay on Lake Michigan, it was not uncommon for a pine tree to yield three logs, each of which would reach across car sills set 30 to 33 feet apart. 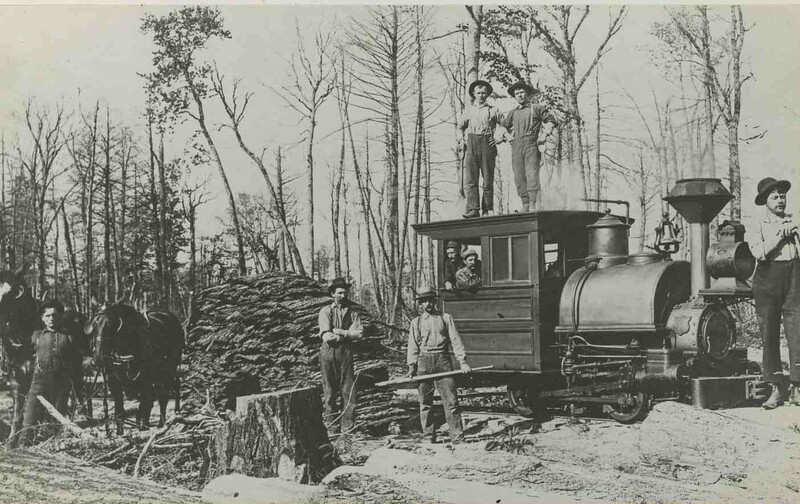 Another distinction claimed by the Cadillac region in the logging transportation was the invention there of the narrow-gage Shay logging locomotive in 1873 or 1874, by Ephraim Shay. Slow but powerful, the Shay-engine had vertical pistons to operate the driving cranks, working a shaft geered to the motive wheels. An account carried in The Cadillac Evening News said that Shay developed his locomotive to pull log cars from northwest of Cadillac to his sawmill at Haring. First made in Cadillac, its patents were later sold to the Lima Machine Works in Ohio, which manufactured it for use all over the world. There is not a logging railroad, operating as such, remaining in the lower peninsula. In fact, their names even escape the memory of all but old timers. Mention the Lake County Railroad and among railroaders you would likely draw only blank looks. Or the Cadillac & Northwestern, Louis Sands’ Road, Nesson Lumber Company, Cody & Moore, Bear Lake & Eastern, or the Canfield Road—recalling only a few. The logging railroad gave rise to few legends. It could not match the glamour attached to sawmill towns which grew and flourished beside tis tracks, nor could it furnish the rough color provided by the swift rivers with their tension-packed spring drives. Its mark upon the timber country, once painted briefly in bold outline, today has virtually disappeared. Traces, of course, can still be found in the old crumbling grades, winding unevenly across grassy plains and ridges pointing toward some distant banking ground. The old names, with some searching, can be found buried in official reports listing rail mergers and abandonment. But that about ends it. That and some faded photos, dim with age, gathering dust in old picture albums. If you were to guess the decade the Amish established a presence in Clare County, what would be your answer? Maybe the 1890s after the lumberjacks had left and farmers moved in? Or the 1930s during the Great Depression when farmers moved to new areas looking for inexpensive farmland and new opportunities? Perhaps after WWII when suburbs began to sprout in rural areas once containing the Amish, hiking the cost of farmlands beyond what young Amish couples could afford? The 1980s, because it took them that long to travel that far north by horse and buggy? The answer IS the 1980s, but not due to any reason related to horses or buggies. Although Amish have been in Michigan since 1895, and there were even Amish settlements in mid-Michigan that did not proper (Coleman, 1911-1913), it wasn’t until 1980 that Amish settlements started in Clare and Gladwin counties. Although it’s not known exactly what brought the families from Ohio, a local history book called “Amish Society,” by John Hochstettler, a member of the Amish community, mentions two reasons for the Amish coming to mid-Michigan, including the fact it was becoming difficult for younger Amish to purchase farms in traditional Amish communities and there were some unspecified conflicts with church ministers among some congregation members. Whatever the reasons, the first Amish resident in Clare County, according to the community’s local history, was Roy J. Yoder from Holmes County, Ohio. Before coming to Clare, Yoder had investigated Michigan’s thumb area then came to mid-Michigan looking at various properties in Gladwin county before settling on land northeast of Clare. In the spring of the following year, a second family moved to the immediate area and other families followed, beginning what is now the Clare Settlement. About the same time, the first Amish settlement near Clare was being established, another group of Amish from Hardin County, Ohio purchased farms in Gladwin County and a large community developed in the Gladwin and Beaverton areas. There are approximately 13,000 Amish in Michigan residing in 38 separate communities and 98 church settlements. (Michigan’s Amish population increased 115 percent between 1991 and 2010.) Because the Amish have no churches, instead meeting in homes, an individual community has to be small enough so meetings at homes are practical, yet large enough to be viable. A church community has approximately 30 families (120-200 people) headed by (usually) a bishop, two preachers and a deacon. The school has one or two teachers serving the students of that community who attend grades 1-8, which is all the schooling required by the Amish. Community is paramount in both orders and its members operate under the Orndung, or consensus of the community. 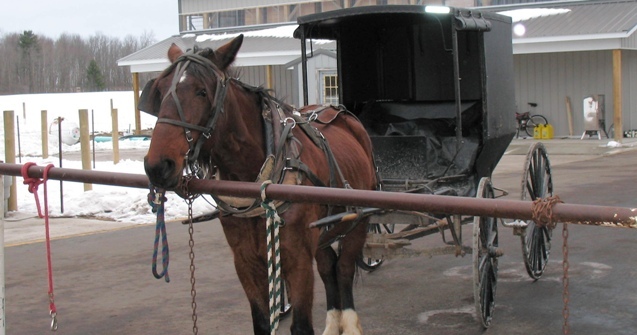 Michigan has two orders of Amish: The Old Order and New Order. Neither allows the driving of cars but the two orders differ on allowable technology (i.e., cell phones, power lawnmowers) and church discipline, with the New Order being more lenient. There may also be some differences in the Orndung from community to community but because communities want to be in communion with one another and can risk being shunned by neighboring communities, the Orndung changes slowly and usually in conjunction with other neighboring communities. Speaking of shunning, in their late teenage years Amish young people make a decision whether to be baptized into the Amish community. Approximately 25 percent of all Amish either do not join the order or leave it after joining. Those who choose not to become Amish are not banned or shunned. They are welcome to visit the community and their family and friends can talk to them. Shunning is reserved for those Amish who take the vows to be members of the community and then break those vows. It is this process that helps keep the community strong and single-minded. The Amish pay property taxes and income taxes. If self-employed, they do not have to pay Social Security and Medicare taxes. However, if they work for an employer, they do have to pay those taxes, even though the Amish do not use either of those social programs. Jim Carr and Maggie Duncan were evil, but for a few years their evil deeds made them two of the richest individuals in Clare County. When they died as paupers on straw mattresses on the frigid floor of a rundown shack in March 1892, few people shed tears upon hearing the news. If Shakespeare was right, the good they did—if any—is buried with them in their unmarked graves. Jim Carr was born in Buffalo, NY about 1850 (1). 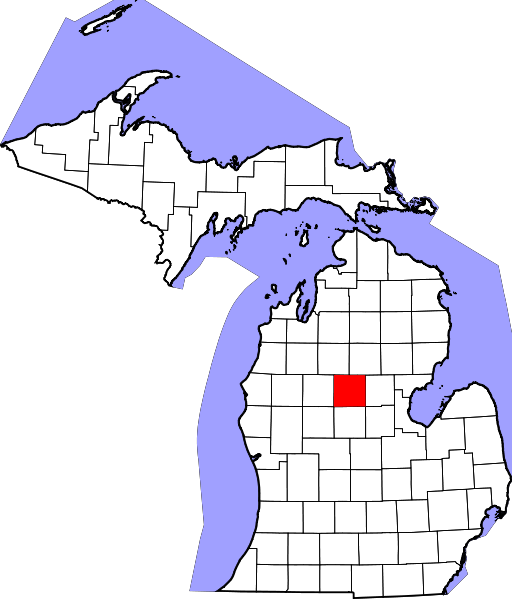 After knocking around Toledo, Chicago and Eaton Rapids, Carr ended up in Clare County, where, in 1868, he started working for lumberman Winfield Scott Gerrish. 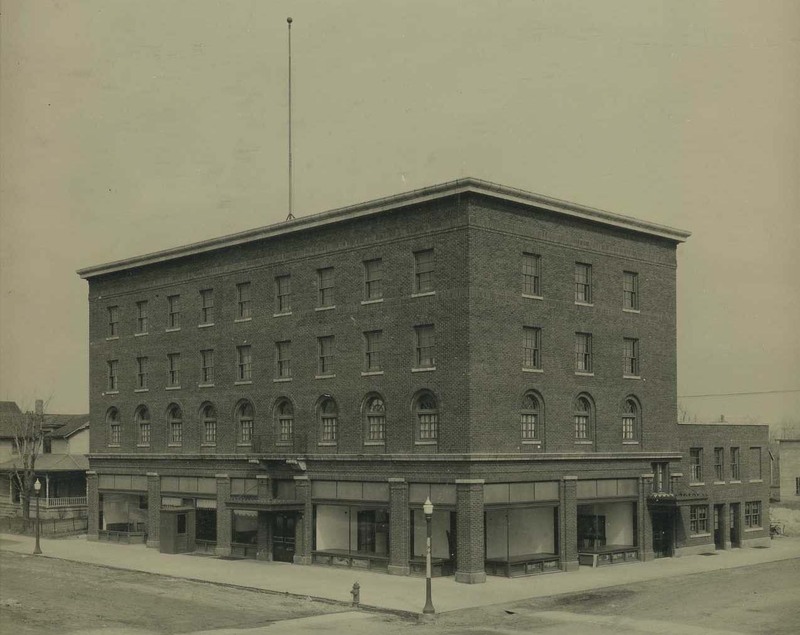 Carr, according to an article in the Gladwin Record, was a well-built man, six-feet tall with a mustache covering a pleasant face and possessing a gentlemanly manner. At the same time, the writer aid there was an “air of danger” around him. Not much is known of Duncan (2), but in her, Carr found a kindred spirit and in him, Duncan found a way out of poverty. So Duncan was with Carr in 1881 when he decided there was more money to be made from lumberjacks than lumbering and struck out and opened a business just outside of Harrison, a town recently hewed out of the forest and the Clare County seat. One would have said Carr’s odds of success were slight. Although Harrison was growing fast and up to 20 trains a day rolled into town, it already had 20 saloons. Carr was not highly educated and could read but could not write. But if the old adage is true that the three most important factors in real estate are location, location, location, then he opened his Devil’s Ranch Stockade in the right place. The stockade was a two- or perhaps three-story saloon, hotel, gambling hall, brothel located on a hill just outside the town’s limits. 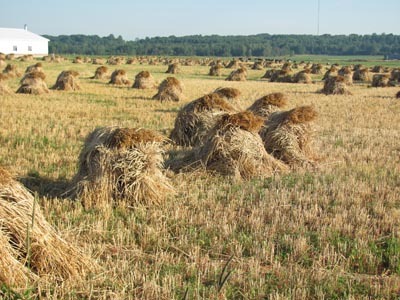 When the city fathers had platted Harrison, they had determined the hill to be worthless and so didn’t include it within the town’s boundaries. That meant Carr were not under the town’s laws but only under the jurisdiction of the county sheriff, an individual Carr apparently came to own, if reports published in local papers were true. Plus, the hill meant the Carr’s place was visible to everyone coming into town. The promise of cheap booze, loose women, open gambling and few regulations made Carr’s place popular with lumberjacks who flocked there to do much as they pleased. For some lumberjack’s, Carr’s stockade was their first stop when they came to Harrison and their last–literally. The hill on which Carr’s place stood soon became known as Dead Man’s Hill because of the people Carr was reported to have killed and buried there. This view of Harrison (facing east) was probably taken about 1880-81. The photographer may have been standing somewhere near where Carr’s Devil’s Ranch Stockade was or would be. The term “stockade” used to describe the ranch was literal and not figurative. The complex had a high fence around it meant to keep prying eyes out and the women that worked in the brothel in. While some women began prostitutes by choice, others were forced into the business. There is one story of a prostitute named Jenny Kinney (or King) who fled Carr’s stockade one winter night clad only in her after being beaten. She ran into town knocking on doors asking for shelter. When one family took her in, Duncan, a companion and a big dog appeared at the door demanding her return. The family refused to give her up. No one was ever charged. While Carr ran the overall business focusing on the saloon, Duncan ran the brothel. She had experience with brothels (but then so did Carr for that matter, since that’s how the two seemed to have met). Anyway, it was a love and business partnership that seemed made in heaven–or hell. Duncan seems to have been Carr’s equal in every way with a love of vices and strong drink and a reputation for cruelty. 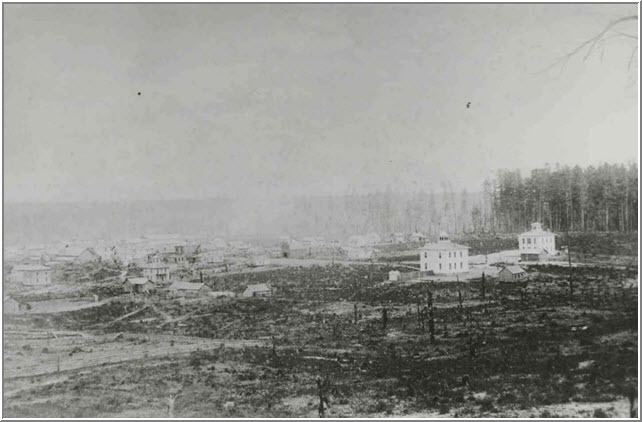 Their Harrison business proved so successful that they even expanded and opened a second establishment in the then growing town of Meredith, some 10 miles to the northeast and in the center of some 50 logging camps. Carr made a profitable living (or perhaps killing) off lumberjacks. The ranch was big enough to fit up to 250 – 300 men at a time, most of them at the bar drinking Carr’s beer and rot-gut whiskey. There was so much money that instead of cash registers, Carr’s place had buckets for the men to throw their money in for their drinks. When the buckets were full, they were carried to Carr’s office for emptying and counting. Carr also advanced lumberjacks credit in exchange for their time tickets, which he discounted 25 – 50 percent. (Some lumberjacks were not paid until logs they had cut were delivered to the sawmill in the spring, so to reflect their earnings, the men were given “time tickets.” These were redeemable by bearer for cash in the full amount.) Carr was not above adding to his earnings by robbing drunken lumberjacks or those he and his cronies drugged. 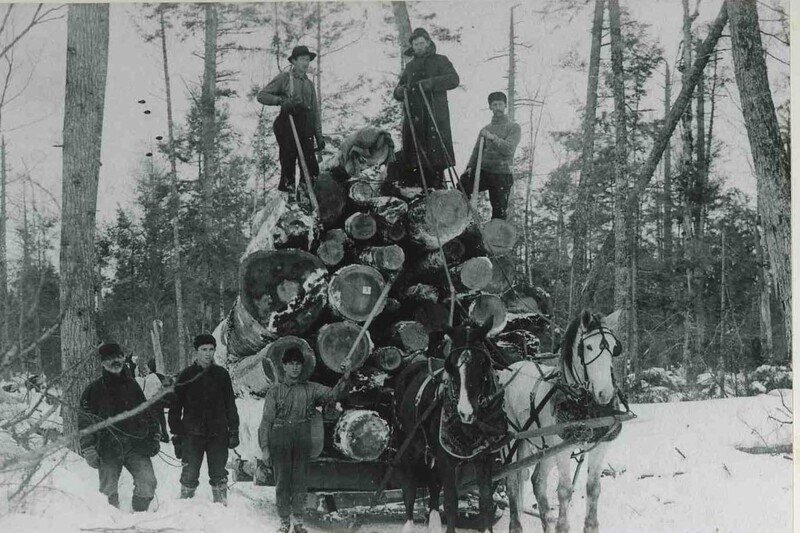 This also proved lucrative since the men carried all their earnings–sometimes for an entire logging season–on their person. Carr’s unsavory and illegal activities were apparently well known and the subject of numerous stories and editorials in the local press (although one paper defended him by saying that men like Carr were “a necessary evil” in growing towns). And that’s not to say Carr wasn’t arrested. At one time when asked how many times he had been arrested, he claimed it was so many times he couldn’t remember. However, being arrested was one thing, being convicted was another. Witnesses were often too afraid to appear in court, were paid off, disappeared, or Carr simply paid a fine. However, when Frankie Osborne, a prostitute popular with the lumberjacks died in Carr’s employ in 1885 that Carr’s and Duncan’s life began to start unraveling. It was also around this time a new sheriff was elected that was not under Carr’s control and a new prosecutor named W.A. Buritt decided to rid the county of Carr. Osborne’s death was due to a beating and at Carr’s hand. Initially, Carr wasn’t too worried about being arrested in Osborne’s death. When he was indicted for her murder, it’s reported he laughed and said, “Is that all?” and prepared to leave the courtroom. Instead, the judge ordered him to jail to stand trial. Carr was found guilty of the murder and sentenced to 15 years. Carr was freed by the Michigan Supreme Court after a year in prison (although the Court stated Carr’s conviction was improper, it did state he was a very depraved individual). Duncan was also freed about that time from the Detroit House of Correction after a conviction for running a house of ill repute. The two began their businesses again, although Buritt was not done with Carr. Although Carr had beaten the murder rap, Buritt brought Carr up for trial, this time on charges he burned a James Silkworth’s establishment at Frostd in 1884. Although Carr again beat these charges, the continuing legal costs had taken much of his fortune. In addition, most of white pine in Clare County had been cut by this time and the lumberjacks had moved on to new territories. Fewer customers, a population increasingly intolerant of Carr’s activities and increased raids on his establishments meant fewer profits. Carr and Duncan apparently abandoned their place in Harrison but continued to run a brothel in Meredith. In a burst of imagination and to try to avoid the law, it is said Carr put the building on skids. Either that or put it on a railroad car. Since Meredith was on the Clare/Gladwin County line, Carr would simply move the building between counties whenever things in one county got too hot for him. Whether one story or the other is true isn’t known but the legend has grown with time. In any event, the building, wherever it was located, eventually burned to the ground leaving the two without regular income. Carr and Duncan remained in Clare County. Why they didn’t move on with the lumberjacks and resurrect their fortunes in a new place isn’t known. Maybe they were broke. Maybe their alcoholism had so taken its toll they no longer had the inclination to start over. In any event, it appears Duncan resorted to her old trade to get the two of them money for liquor. If nothing else, she remained loyal to the end. That end came in March 1892, when Carr died next to Duncan in a freezing shack outside Meredith. According to some accounts published years later, Carr and Duncan died together and were buried by lumberjacks on land outside a cemetery since no minister would officiate and no cemetery would take them. Other accounts say Carr was buried near the shack, his body dug up sometime later by the county undertaker and buried in a local cemetery. Duncan who did not die that same night as Carr was sent to the county poorhouse where it is said she died some months later. When Carr died, he was just 42 (although other records say 37). Duncan’s age isn’t known but going by jail records, she was about 33. There is also an in-depth article by David McMacken that appeared in the Summer 1971 issue of Michigan Living magazine (Volume 55. No. 2). (1) Some records indicate Carr was born in 1855, but records from the county jail at the Clare County Historical Museum show that he was born in 1850. Records at Ancestry.com also show he was born about 1850. The records show Carr was the second person held in what was then the new jail. He was held there on the charge of arson (possibly related to the burning rival James Silkworth’s place in 1884). The jail records state Carr stood 5 feet 10 inches and weighed 175 pounds. He was fair-haired and had blue eyes. Maggie Carr/Duncan’s name appears when she was put in jail in April 1886 on the charge of keeping a house of ill-fame. (2) County jail records also shows Maggie Carr/Duncan was also arrested and held in the jail on the charge of “running a house of ill-fame.” The records show Carr/Duncan was 27 at the time of her arrest, which meant she was born about 1859. She was 5 feet 3 inches tall and weighed 130 pounds and could neither read nor write. The record also shows that she like Carr was born in Rochester, New York so it’s possible that she knew Carr or his family in her youth, or that common thread was one of the things that brought the two together. This press release was written on behalf of the Friends of Clare County Parks & Recreation and a group called Hiking Michigan. It concerns a state pathway in western Clare County that was quite overgrown. In fact, I got lost on the pathway a couple of years ago and blogged about it. That post caught the attention of Mark Wilson who is the director of the North/Central branch of Hiking Michigan. He contacted me and put him in touch with Friends and the two groups worked together since Friends was looking for a way to get more people interested in the pathway. And who says good can’t come out of blogging? The Green Pine Lake Pathway is one of Clare County’s hidden treasures. The Pathway—really three loops and one connector trail—is located in Freeman Township in the western part of the county. Two of the loops are accessible from a parking lot on the south side of M-115, just west of Lake Station Ave., while the connector trail leads to a state forest campground and nature trail on Big Mud Lake (off Brown Road near Garfield). In the past, the overgrown trails and lack of markings have posed big challenges to those who have ventured to walk either location. 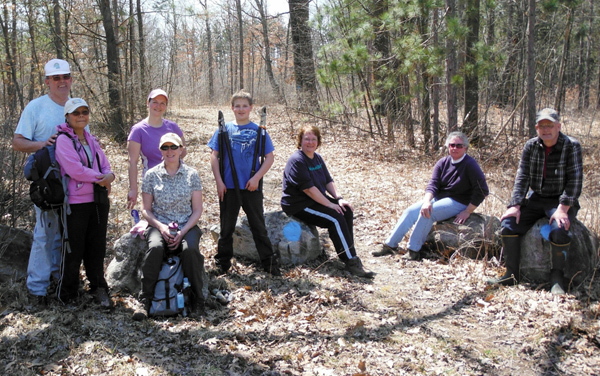 Now, thanks to the hard work of numerous volunteers during the last weekend in April, visitors can focus more on the beauty of their surroundings, and less on determining which direction the trails go. A parking lot on the south side of M-115 just west of Lake Station Road provides plenty of parking to access to trail with its two lakes. To learn more about Hiking Michigan, go to www.hikingmichigan.com. 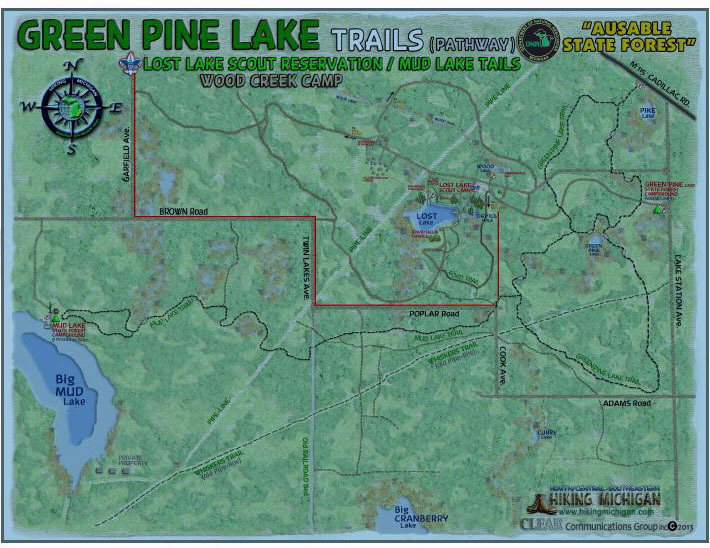 For Hiking Michigan’s free downloadable map of the trail, go to www.hikingmichigan.com/PDFinfo/GreenPineLake.pdf. Friends of Clare County Parks & Recreation invites you to their annual Gateway Event on June 1, 2013 to help raise funds to improve recreation in Clare County. Learn more at clarecountyrecreation.org.